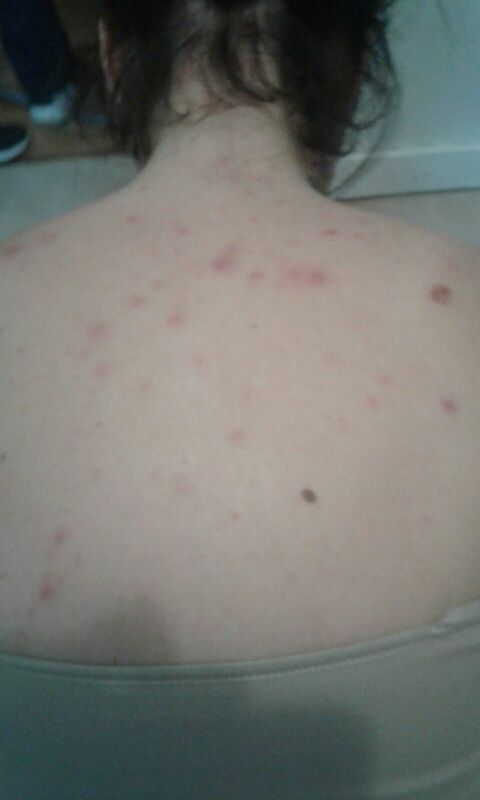 Samantha Parniak's back full of bite marks. Samantha Parniak is a resident in Montreal that has been in a lot of apartments in her time. She has also lived in many areas of both Montreal Quebec and Laval QC. It must be dearly noted that she is a single mother of 4 young kids. However, she did not expect to see the horrendous negligence, lies, and outright mistreatment of a tenant, and clear-cut violations of her rights. She made the decision about 6 months (November 2016) ago to move into a new area. The area that she moved into is in the district of Ville St. Laurent. She found out rather quickly that things were not as described when she moved in. She was told that everything would be in proper order for her and her four children. She has in the past had issues with landlords, however, the treatment that she has witnessed here has been inhumane. The apartment she was given to move into previously had an insect problem such as cockroaches and the area has had a bed bug issue. 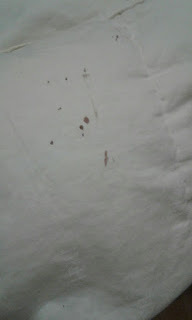 The person who showed her the apartment had claimed that the apartment was sprayed and did not have any insect issue. Samantha soon learned that was a mere cover to get the apartment filled. The apartment was also supposed to be fully renovated and was actually far from being fully renovated. Samantha was never even given a lease of which she asked for on multiple occasion and never once was handed a copy of it. Blood stained sheets from bed bug biting. Samantha met with a woman named Eva (she currently does not work with the company at this moment). A janitor by the name of Margery claimed that Samantha's place was sprayed for bed bugs or cockroaches. However, this was a complete lie to Samantha as another resident saw exterminators at the house just a few days before Samantha moved in. The woman that had the issue in the house even got sick and had to leave the apartment. 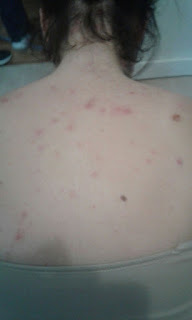 Samantha and her children have gotten sick in the past because of a lot of bites on their arms, backs, legs, and hands. They all have so many bites the children have even bled in their sleep on their own beds because of the staggering amount of bites on them. Samantha contacted Batshaw youth protection to see if they might be able to get some advice for her children that are in the situation. The social worker that she spoke to said that she needs to leave the apartment quickly because it is a danger for her 4 kids. The worker also said that the kids can be pulled from the home if nothing is done about the situation in a short while as it is a health risk. Samantha was then told that any issue would be fixed within the coming weeks and as the pattern seems to continue, the work was never fully completed as it should have been. 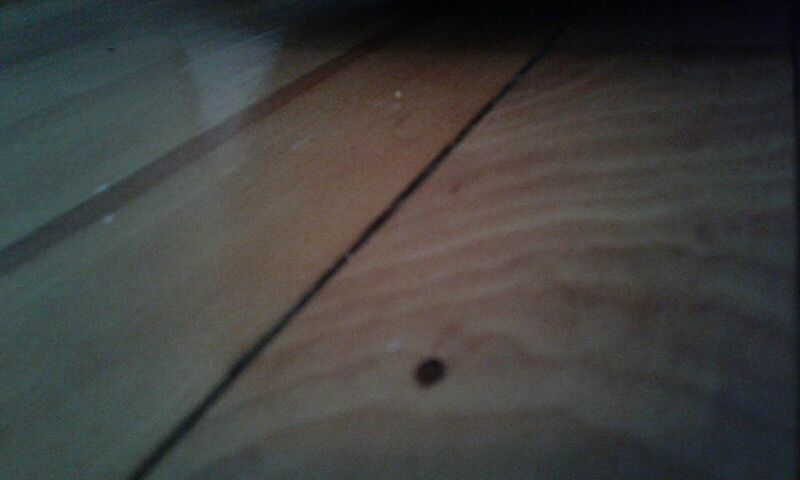 Close up photo of a dead bed bug on Samantha's floor. She first noticed the cockroaches on the second night and immediately felt betrayed by the people she thought of as helpful and polite people. There was also an issue with Eva of which the threatened to have past history with Samantha be brought up and used against her. This was just about after a few days of her living in the home and Samantha had every right to complain about the abundant amount of issues that were going on the apartment. This was recorded by the mother of Samantha. The city was also notified of the situation and told Samantha to simply finish her lease and if things got worse follow through with the correct form of action. Samantha's children are terrified and quite possibly traumatized as they have been living in this sub- humane and inhumane conditions. I heard her children scream while I spoke to Samantha on the phone. The children were even crying because of the sheer horror that they have had to live in for at least 6 months. The children are almost always looking at bug bites and cockroaches and sleep with bed bugs on a daily basis. It must be noted that this housing complex has had bed bugs in the past and the person who lived in the house in the past has had an intense issue that led to her and her children being sick.